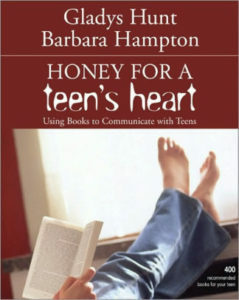 *Honey for a Teen’s Heart: Using Books to Communicate with Teens, by Gladys Hunt and Barbara Hampton. Zondervan, 2002, 288 pages plus index. What we are proposing in this book goes against [the] cultural grain. This book talks about reading and listening to each other, talking about ideas. It gives clues about how to do it. We believe it is possible to have a growing friendship with our children as they mature, rather than a growing alienation. Parents and tens both profit from time spent in knowing each other and sharing feelings and ideas. Most parents certainly want that, and most teens want that too (though they may not always show it). Literature provides an ideal platform for communication: neutral yet personal. A story, whether fictional or actual, is a kind of stage where life is acted out and the audience can respond, each individual in his own way. Ideally your family sets aside time for reading books aloud, as we’ve recommended (and Read-Aloud Revival is all about). Honey for a Teen’s Heart is a practical guide for finding books, evaluating books, talking about books, stirring imagination through books, and getting the best from books (including the Bible). Part 1 lays out the why’s and how’s, Part 2 (which comprises almost 2/3 of the content) contains an annotated list of over 400 books suitable for ages from early to late adolescence. Scattered throughout are author profiles and short lists of titles geared to a particular interest or occasion. 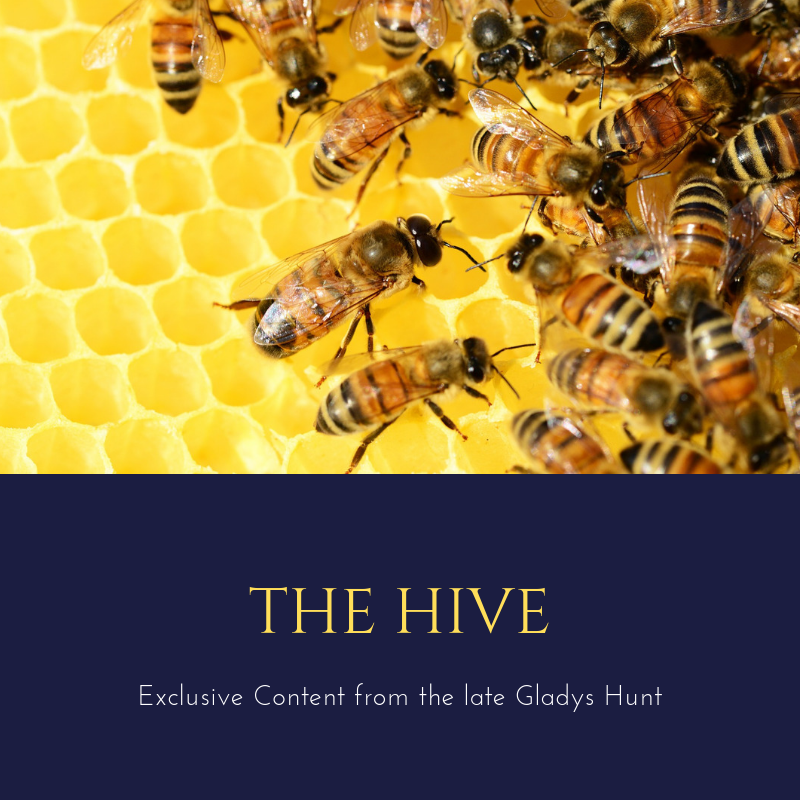 Some of these are classics and others are more recent, but since the latest edition of Honey for a Teen’s Heart was published in 2002, there are no recent titles. That’s where RedeemedReader.com comes in, and lists like this one. And this one. Honey is a good place to start, but we’re here to help you continue! Do be careful giving your child a book recommended by Read Aloud Revival without reviewing it first!!! In Sara MacKenzie’s latest book, “The Read-Aloud Family”, she recommends a book series by Susan Tan – and has interviewed her too. The second book in the Cilla Lee-Jenkins series includes extreme references to lesbian relationships…including marriage. I was extremely disappointed there wasn’t a warning for parents about the contents of this book! Thank goodness I’m still in the habit of pre-reading books for my eight year old. I have had luck so far with Honey for a Child’s Heart! Just wanted to warn parents. I’d gotten pretty comfortable with Sara Mackenzie’s book recommendations, because I really enjoyed her first book….and almost did not pre-read. Thank you for your caution about the Cilla Lee-Jenkins series. We are always thankful to have readers who read discerningly! However, I do want to caution against disparaging Sarah Mackenzie’s latest book because of this one instance. As a fellow book reviewer, I have had the unfortunate experience of reviewing a book positively, even promoting the author, only to have later books in a series “betray” me. We even have a reminder to that effect in our Redeemed Reader Companion for series-in-progress and authors who are still writing new books. It looks like Mackenzie’s book went to press the same month as the Cilla Lee-Jenkins book, and it’s entirely possible she didn’t have access to the series at the time she was making her book edits–which would have happened months before press date (or that her editors changed things slightly). Let me encourage you to contact Sarah to let her know of your concerns–she may be unaware of that particular book’s content.